My driveway is starting to dry out for the first time in several days. My rain gauge tells me we got 3 inches in the last storm. Yesterday the paper said El Nino was here and get ready for back-to-back storms for the next 6 to 8 weeks. As a wife and mother with a busy life, this is not good news. The drive to school will be even more challenging. But as a gardener I can rejoice and thank the heavens for the magic of rain. Rain has something in it that is simply magic for plants. Perhaps a special form of nitrogen or a micronutrient makes it so special. Whatever it is, rainwater makes the plants happy. It’s as if I had fed with Mircle-Gro. I can say what rainwater does not have. It does not have salts, chlorine and other chemicals that plants do not like. It is no wonder many hard-core gardeners put out buckets and save rainwater. Yes, I did the bucket trick yesterday for the plants under eves and on the porch and in the house. I have been guilty of forgetting these poor pots only to find them days later drooped over dying of dehydration. The other thing I’m guilty of is forgetting to turn off the sprinklers. And lastly I’m guilty of waiting too long after the rain to weed. Here in Elfin Forest digging will NEVER be easy. But a good rain softens the ground making any type of digging much easier. Weeding is an enjoyable chore after a good rain. The weeds come out easily, roots and all. The trick is to avoid stepping in the garden bed soil as your weight will compact the soil and keep out oxygen and yes, water later on. I place stepping-stones in the beds to avoid compaction. It also keeps mud and dirt tracking to a minimum. Do not dig or weed if the bed is soaked and/or has standing water. Most plants will not live long with standing water at their bases. Most plants do not like “wet feet.” Instead make channels to drain the bed. Wait until the soil is moist, but not soaking to work the soil. Timing of application of fertilizer can be a little tricky with the El Nino forecast. You want the fertilizer to be watered in, but too much water and it is washed away. The BIG problem with this is not monetary; we all hate watching our money literally being washed down the drain. No, the problem is the downstream pollution the fertilizer causes in the creek and in the San Elijo Lagoon. My oak trees were amazing prolific with the acorn production this year. I now know why. With the rain I have many baby oak trees, all over. For anyone interested you can come and dig some seedlings for your yard. I am experimenting with potting them first and then planting later. The seedlings need to be watered on a regular basis they are not drought tolerant until they are much larger and found an underground water source. My neighbors planted several oaks about three years ago, watered them regularly and the trees are now 10 feet tall. Call me at 760-471-7933 for seedlings. I also have horse manure available. Go, have fun, get dirty and rejoice in the rain! The best time to plant is almost here! Although September is often very hot, the end of the month brings cooler temperatures. This is very different from most of the world and will bring spectacular results come spring. Now while you await the arrival of those cooler days, start to plan where you want to plant, what you want to plant and how you will get water to it. Get your compost pile up and running so you will have free fertilizer when planting. Due to the drought and fire safety I’d like to urge you to be especially concerned with plant and garden structure choices. As I look through all those beautiful garden mags I’m constantly assessing the water requirements and ability to withstand or add to a wild fire. I must admit much of what I see does not meet these criteria. As much as I’d love to build a wooden wisteria covered arbor on the west side of my house, I will not as it would only add to a fire. Darn! If you are interested in community service and learning more about the fire safe garden, volunteers are needed to maintain our garden. Please call me at 471-7933 for more information. If several people volunteer, it will be only an hour or two a month. Tip of the month: Are the bunnies munching all your plants? Try this; soak liver in HOT water for several hours. Strain and spray were you want to keep rabbits out. Reapply after it rains. I have not tried this, but have been told it really works. My personal policy is to let them eat the lawn (less to mow and they leave fertilizer), have a dog and plant perennials. Tomatoes are the most widely grown home veggie in America and have been for many years. No wonder, nothing beats the taste of a homegrown tomato. By following some basic tomato rules you’ll grow the biggest and tastiest ones ever! First pick a spot that has at least 7 hours of full sun a day. Make sure you can get water to it easily. I prefer drip soaker hoses on an automatic timer. If creatures are a problem, provide fencing and if necessary bury small gauge chicken wire to stop the infamous Elfin Forest gophers. Prepare the soil by digging in compost or an organic amendment and a fertilizer. There are many fertilizers on the market today, some specialty formulated for tomatoes. If you are going organic, the free manure from the egg ranches and dairy on Harmony Grove works wonderfully. Next, and probably the most difficult task, is to choose a variety to grow. Do you want a hybrid or an heirloom, a determinate or an inderminate, early or normal maturity date, a beefsteak, paste or cherry? All have a place in the home garden depending on your situation and preferences. Heirlooms are open pollinated, non-hybrid, over 40 years old and are most often developed and maintained by individuals specific to the local climate. Heirlooms are tastier and come in a wide variety of shapes, sizes and colors such as yellow, orange, pink, bi-colored, cream and even purple/black! However heirlooms do not have disease resistance, travel well or have early maturity dates as hybrids do. 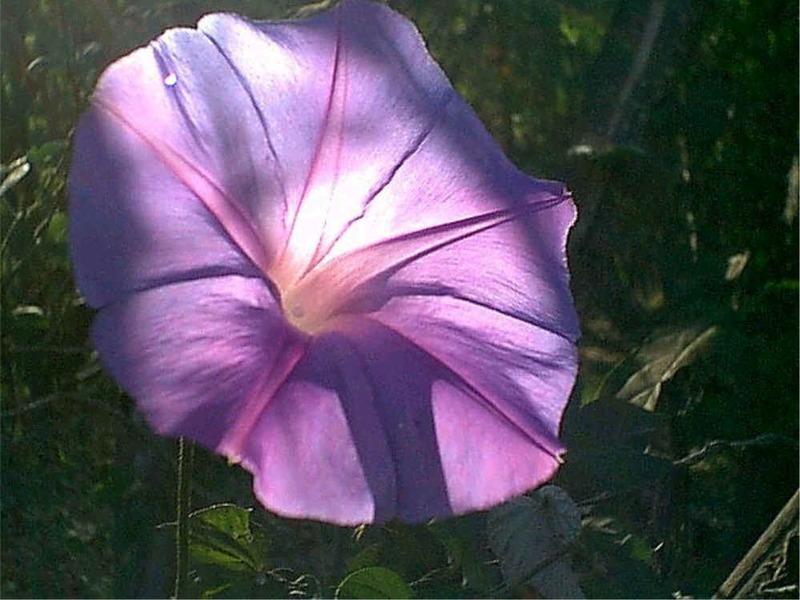 Heirlooms can be difficult to find as started plants, but seeds are plentiful. Hybrids are a cross of two different varieties that will not produce true from its seeds. Hybrids have disease resistance; some are bred for specific growth characteristics (i.e. small container plant), specific maturity range (i.e. early to fruit) and were developed for commercial purposes (ability to travel w/out damage). Hybrids do not have the colors or flavors of the heirlooms. Disease resistance has been a major aim of hybridization. The VFN notations on plant tags denote specific disease resistance. V is for verticllium wilt, a soil borne fungus that can kill. F is for fusarium wilt another soil fungus that causes a yellow from the soil up death. N is for nematodes, a deadly root eating mini worm. If your tomatoes didn’t do well in the past, plant a VFN variety in a different location. Mulching to avoid splashing contaminated soil into the plants may stop wilt along w/ reducing water needs. A determinate tomato tends to be smaller and most of the fruit ripens at the same time. Good for containers home made sauces and canning. An indeterminate is larger and tends to out grow commercially available cages. The fruit is produced over a long period of time. 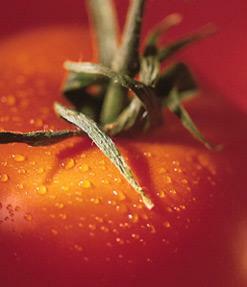 Tomatoes will only fruit when the nighttime temperature is between 55 and 75 degrees. However the early varieties such as Early Girl will fruit in lower night time temperature and is a good variety to plant now, wait several weeks and plant other varieties. A trellis or staking system is also needed to keep the fruit off the ground and discourage pests and disease. Commercially available cages are only good for the smaller determinate verities. I use 6-foot stakes w/ hardware cloth in a long line. The hardware cloth should have holes large enough to get you hand through it. Six-inch holes work well. Space the plants every 3 to 4 feet. Place the tomatoes to the back of the bed so not to cast a shadow on the other plants. When planting, place plants deep, removing the lower leaves, leaving 2 to 3 inches above ground. The buried stem will root, one of the only plants that can be treated this way. Here is a list of southern California garden writer Bill Sidnam’s favorites, Early Girl, Ace Hybrid, Lemon Boy, Better Boy Big Beef, Beefmaster Hybrid and Celebrity, Sweet 100. All are large fruited except the Sweet 100, which is a cherry. All should be readily available at local nurseries. A closing note on heirlooms, as stated earlier it can be difficult to find heirlooms as started plants. However, we are very fortunate to have 2 local sources. Ginger Cat’s Gardens has partnered with the Hawthorne County Store (675 West Grand Ave, Escondido) and has many varieties specific to our climate. Second, on April 20th at the annual Pancake Breakfast (see the occupying flyer), Elfin Valley Nursery, aka Sunshine Gardens will have exquisite California coastal heirlooms available to purchase. If we lived elsewhere in the country our only gardening tasks would be perusing seed catalogs, cleaning and sharpening tools and dreaming of warmer days. But we live in southern California, and we can garden year round. With the holidays behind us we are free to put our creative energy into the landscape. January is a slow month job-wise, but garden tasks done this month will reap big rewards later in the year. It's the promise of the New Year and it's surprises that make this season so special. The most important jobs are deciduous fruit tree and rose maintenance and bare root planting. If time permits, you can still plant annuals and veggies or start a new garden the lazy way. Maintenance of roses and deciduous fruit trees consists of three parts, prune, clean and spray. First prune roses and deciduous fruit trees. Deciduous fruit trees must be pruned after all the leaves are off and before the buds start to swell. Roses do not need to be pruned hard in our delightful climate. I do not have the space here to describe the intricacies of pruning, it would takes pages! Consult your favorite book or attend a demonstration at a local nursery. Pat Welsh's Southern California Gardening has an excellent description of the pruning both fruit trees and roses and Sunset has a complete how-to book devoted to the subject. Next, after you have pruned your roses and fruit trees, clean up under them. Compost all the left over leaves, but trash any diseased litter. Make wells, check and repair the irrigation system to each plant. Top dress with mulch or compost, being careful not to cover the trunks. Use the trimmed limbs to make a rustic trellis (see Sunset, January 2000, pg 76) and longer rose trimmings can be used to thwart midnight invaders, and dogs and cats. The last step is to apply a dormant spray to kill the mites, scales and various fungi that can cause so much trouble later in the year. Spraying now will reduce and often eliminate the need to spray later in the year when all the good bugs i.e. bees and ladybugs, are out. Horticultural oil (trade name Volik Oil) is one type of product that can be used now. Oil kills the bugs that are overwintering in the trees and roses. Lime-sulfur or fixed copper is necessary to kill the fungi that cause leaf curl and other diseases on peaches and nectarines. Leaf Curl causes abnormal leafs, warty fruit and if not treated for several years, can a kill a tree. The kind folks at the UC Cooperative tell me not to use lime-sulfur on apricots. You can mix fixed copper and oil or purchase a ready-made combo product. Spray only on calm, cool days with protective gear on. That includes goggles, gloves, waterproof boots and clothing. If it rains within the 48 hours after you have sprayed, sorry, but you will have to spray again. Wait until next month to feed the roses and trees. If this entire chemical spraying is too over whelming, just call Elfin Forest local Jack Olmsted at Plant Tek and go out to the movies or spend some time with your family. Plant Tek can be reached at 471-6420. January is the big month for bare root planting. Bare root is just that; a plant that comes with no clothes! Bare root is less expensive and you have a better selection. Plants available bare root include roses of all kinds, berries, deciduous fruit trees, some ornamental trees, wisteria, artichokes and asparagus. Be careful with fruit trees! Only buy low chill varieties or you will not get fruit. Remember the Mediterranean climate we enjoy does not stay cold long enough for most stone fruit, except for the low chill varieties. It's too early to plant tropicals, wait until May or June. Other plants that can be planted now include camellias and azaleas, annuals such as foxgloves (poisonous, but beautiful), primroses, pansies, johnny-jump-ups and other violas, sweet peas and calendulas. Veggie-wise you still have time to plant peas, broccoli, cabbage, parsley, cilantro, celery and swiss chard from six packs. From seed you can plant lettuce, peas, beets, radishes and turnips. You cannot miss with home grown lettuce, it's the winter equivalent of the tomato. Lettuce needs plenty of nitrogen or it will get bitter. If you are like me and have been eyeing a plot of ground and dreaming of a garden, now is the time to start using the lazy gardening techniques. This is the not so difficult way to get a new garden ready to plant by March, the second best time to plant in Southern California. First, you have to remove all the weeds and what not. The really lazy gardener hires a worker to do this. The creative lazy gardener cons family and friends to do this and feeds them afterward, at a restaurant. The almost lazy gardeners does it themselves, but takes a day or two off from the gym. After the area is clean, sprinkle it with gypsum to loosen up the ground and make digging easier. Apply gypsum at a rate of 2 to 5 pounds per 100 square feet. Let the rains water it in. Hire someone to turn the ground when it is moist to touch, but not wet. Wait, let it rain some more and wait for next month's garden greetings! When the rains do come, clean out the garden shed, clean and sharpen tools, read gardening literature, shop catalogs or on- line for seeds, plants and garden art, or start a gardening journal. Make or purchase an owl box or a hawk perch so our local birds of pray will get the gophers and other rodents for you. I love to go to the local bookstore and sit and read the new gardening books and magazines with a warm cup of tea or coffee. It's the perfect medicine to recharge my batteries after the hectic holidays. Next month the lazy gardener will return and I'll address citrus. I'm also doing research on the Red Gum lerp Psyllid, a pest of Eucalyptus and sudden oak death. Happy New Year to all, keep gardening and loving each other. Tis' the season to count one’s blessings, be merry and give gifts. I am very thankful as of late; we in Elfin Forest are so blessed with so much. We have the natural beauty of the sage covered hills, large lots, dark skies, a tight knit community and a delightful Mediterranean climate. This last item is a special set of geologic, climatic and oceanic happenstance that allows for gardening year round. It also makes gardening here different than most of the rest of the world. Much of the gardening media on the market does not address our special climate. But a special group of publications does address southern California gardening. They make perfect holiday gifts for the gardeners on your list. Sunset has numerous items, many available at local home improvement and bookstores. I have had a subscription to the monthly magazine for over 20 years and much to the chagrin of my husband, I never toss one out! The gardening section includes a monthly to do list, construction projects and new trends, tools and plants. Sections on travel, home improvement and cooking also make this my favorite mag. The Sunset Western Garden Book is the bible of many a southern California gardener. It was completely revised and updated this year. Sunset also has the Western Landscaping Book and Problem Solver to round out the trio. Sunset can also be reached at www.sunset.com and at 800-526-5111. My personal favorite is written by Del Mar treasure Pat Welsh. Southern California Gardening, a month-by-month guide is simply the best book for southern California gardening on the market today. The month-by-month format, down to earth explanations and simple solutions are invaluable. The book has an easy to read format, excellent index and in-depth discussions not found anywhere else. Gardening is addressed from an organic point of view, but not to the exclusion of chemicals if necessary. Better living through chemistry is no longer an appreciate motto. But, chemicals are useful if used sparingly after organic methods fail. I have had the pleasure of attending several Pat Walsh lectures; if you ever get the chance to hear Pat Walsh, do not pass it by. Pat Welsh’s Southern California Gardening, a month-by-month guide is avail be at Barn’s and Nobel and Armstrong’s. The next two books are included for variety; I have not had the chance to read them in dept. Robert Smaus, of the LA Times has a week-by-week gardening guide. Bruce and Sharon Asakawa’s California Garden’s guide is a new and has had much good press. Both are avail be at Barn’s and Nobel. Now if you have any time left to garden this month you can plant bare-root roses, berries and vines, plant camellias and bulbs that have been chilled. Keep planting cool season flowers and veggies (see list from previous Chaparral). Prune natives, raspberries, and grapes and fruit trees. Water if no rain, turn off the sprinkler’s if it does. Start compost and mulch trees and to stop weeds. Lastly, I wanted to thank some very special folks who make life worth living. Becca, my lab is my friend and constant companion. She doesn’t dig the yard up and sits with me for hours while I work and garden. My horse Classic, who has given me hours of joy I thought I’d never experience. Not to mention tons of manure for compost. My best friend Suzanne helps me garden, decorate and have fun. She is always there for me. My daughter Danielle is a joy. It is a privilege to be her mother. And my husband Jerry, who makes it all possible. Jerry puts up with me getting’ dirty whenever possible, stealing his truck and returning it dirty, and lets me dream big. Thank you Elfin Forest for your beauty, rural nature and friendliness. Happy holidays to every one, may God bless and keep your gardens green. October is the best planting month of the year in southern California. If you moved here from another climate, this may appear to be a very strange southern California tradition. But the soil is still warm from the summer, which encourages root growth. The winter rains are on the way, which provide some magic nutrient not in our imported water. Plants put in now may not look like they are doing much over the winter. But the root system is growing at a furious pace preparing for a trumpet spring show. Many winter annuals have special smells. Sweet peas are, well, sweet. Stock has a heavenly spicy fragrance. Snapdragons have a dedicate aroma often missed. All are easy to start from seed, which gives you a tremendous variety of colors to choose from not available in 6 packs. Other easy to start from seed annuals are poppies, candytuft, Johnny-jump-up, nasturium and linaria (one of my favorites). Now is also the time to plant winter vegetables. Lettuce, cabbage, broccoli, peas, carrots, celery, kale, spinach and cilantro are just a few. I buy 6 packs of all but lettuce, cilantro and carrots. My family has had a love affaire with the mild lettuce mixes available from most seed companies. Our two favorites are from Shepard’s and Renee’s Seeds. Winter veggies tend not to have the pests that summer veggies have. But just like summer, winter veggies are better than their store bought cousins for both flavor and nutritional value. Before any planting prepare the area with compost. 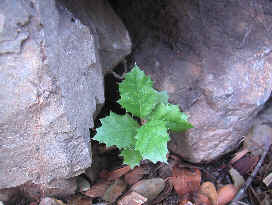 Our soil in Elfin Forest tends to be rocky, clay and deficient of iron. The addition of compost will help all of these conditions except the lack of iron. Many organic and non-organic preparations are available for adding iron to your soil. You need not spend a fortune on compost. With all the horses in Elfin Forest and the free manure available from the egg ranch in Harmony Grove you have no excuse not to use it! The horse manure needs to be aged a few weeks first or it will burn the plants. Most horse owners will be happy to give you manure if you ask. I’ve had no burning with the free manure on Harmony Grove. Please feel free to e-mail me your experiences gardening in Elfin Forest to Nancy@elfinforest.net How do you keep the bunnies at bay? Do you have a plant that loves our climate or one that didn’t? Do you have a snail recipe that doesn’t injure the wildlife? Now go and get dirty, it’s good for your body and soul. Move the flowers below and the hummingbirds will follow them.